So, here's the problem you're constantly facing: Staying organized. You import items into Final Cut Pro. Did you organize where they were on your hard drive before you imported? After? What about that mp3 you pulled from iTunes? What's your best plan for backing up? Loader solves all those problems. Very straightforward. There is no installation. Download it, decompress it, toss it into your Applications Folder (and yes, it needs to live there.) 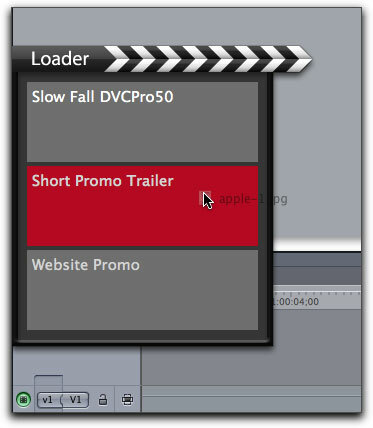 Launch it and it sets up a background process to automatically run when FCP is also running. 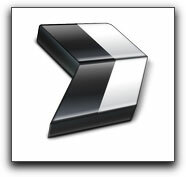 Stop using the Import menu - Drag a file (or folder full of imports) to the Loader icon on the edge of your screen. It'll slide in and and ask for a location for you to save your Imports. Loader will ask you to choose a folder to store your imports (the first time you use it per project) and that's it - you're good to go. 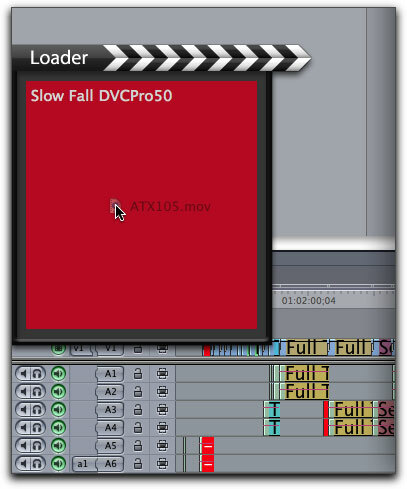 Loader requires FCP 6.0.2 or later, because it relies on a list of open projects. You have to have saved the project at least once before you use loader. Since you're going to want to drag and drop files into Loader, I thought of a tip that might be valuable - If you want to bring up a Finder window, without hiding Final Cut or minimizing any of the windows, you merely need to click on the Finder icon on your dock. 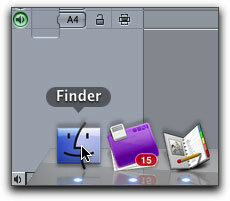 A finder window will appear on top of Final Cut Pro. In your Project, you get a folder called Imports, with the Date and time. For example: Imports (12/12/08 8:55:22 PM). How easy is that? Now, when your Project is over, you just have to grab that folder in the Finder to back up your imports on a per project basis. There are several really powerful features that I think are worth pointing out. If you bring in an MP3, a CAF (Coreaudio format as used by Soundtrack Pro library) or an M4A (unprotected AAC only), it will convert it to an uncompressed 48khz, 16 bit, stereo .AIF file. All that 'beep, beep, beep' action from bringing MP3s in directly is gone. It does this invisibly and in the background. Multiple projects? Loader will let you import to whichever project you choose upon dragging. Loader keeps a log. This is really useful, as it's a list that you can look at or print; perfect for recalling the names of items that are in a project that belong to commercial Sound Libraries. With all this praise, what would I change? Well, I'd like the option of having it put all my imports in a single folder in FCP vs. the time/date structure. 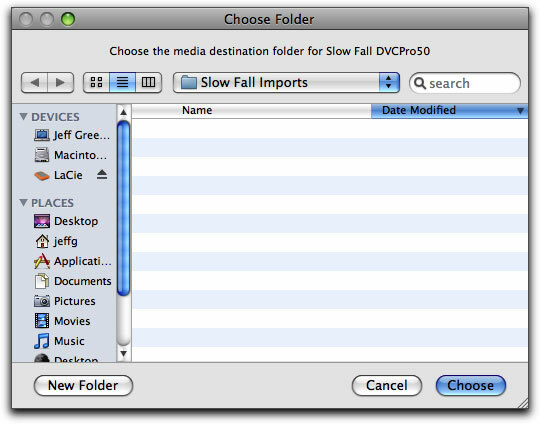 If you bring in items from a number of places, individually, you'll have lots of import folders inside your Final Cut Pro project. Not a killer problem (and I can see that some people would like it the way it works). I like Loader quite a bit, aside from a couple of minor grumblings. And yes, I think you should buy it. It takes care of your worst enemy - yourself, especially when you're rushing to make a deadline. 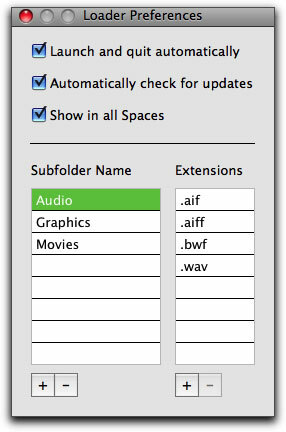 Everything you bring into Final Cut Pro, Loader keeps organized. Jeff I. Greenberg is the Principal Instructor of Future Media Concepts. He's the Program Manager of the Editor's Retreat, an exclusive getaway for editors, by editors. His full bio can be found on his website, and you can follow him on twitter at twitter.com/filmgeek.